Annemarie Neary’s novels are The Orphans (2017) and Siren (2016), both from Hutchinson/Windmill Books, and A Parachute in the Lime Tree (2012) from The History Press Ireland. 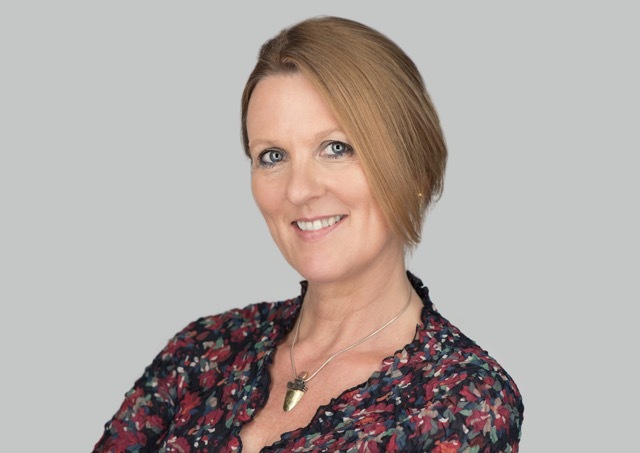 Her short stories have been published in many places in Ireland, the UK and the US, most recently in the award-winning anthology The Glass Shore: Short Stories by Woman Writers from the North of Ireland. Her own awards for short fiction include the Michael McLaverty, Bryan MacMahon, Columbia Journal and Posara prizes. Irish-born, Annemarie is a former lawyer and lives in south London with her family. The latest novel, The Orphans, is about family, loss, grief and obsession. Consisting of many layers, the novel explores the effects of abandonment, of loss and childhood trauma. Eight-year-old Jess and her little brother were playing at the water’s edge when their parents vanished. For hours the children held hands and waited for them to return. But nobody ever came back. Years later, Jess has become a locker of doors. Now a lawyer and a mother, she is determined to protect the life she has built around her. But her brother Ro has grown unpredictable, elusive and obsessive. When new evidence suggests that their mother might be alive, Ro reappears, convinced that his sister knows more than she claims. And then disturbing things start to happen. 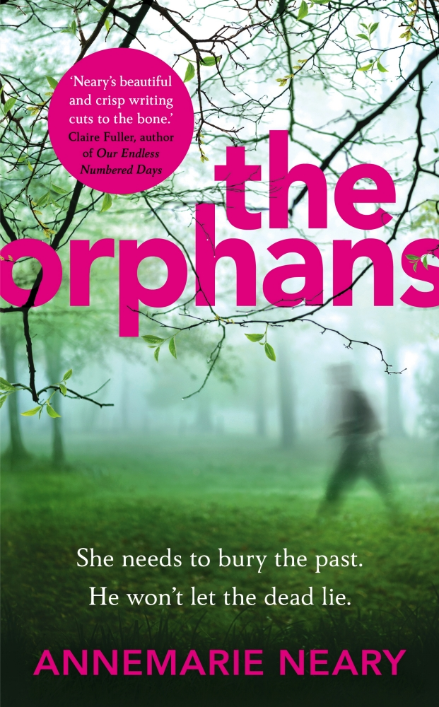 I’m absolutely thrilled to welcome author Annemarie Neary to the blog to answer some questions about the depiction of the two orphans in her latest novel also called The Orphans. Like many other Dublin students with literary pretensions, I started off by writing terrible poetry in Bewley’s café. I think that put me off, actually! It was years later that I started to write fiction. I joined a weekly writing group (in North London, as it happens) and formed the habit of fiction — reading aloud every week, critiquing other people’s work and learning so much from their feedback. When I stopped working as a lawyer, I decided it was now or never on the writing front. I became much more focused, wrote constantly, and began to realise that I had no material at all until I’d developed something with a shape. I had a big stroke of beginners’ luck when my first published story won the Bryan MacMahon short story award at Writers’ Week, a long-established Irish literary festival. That gave me the confidence to keep going. In 2012, A Parachute in the Lime Tree (set in Ireland in 1941 and related to that first story) was published by The History Press Ireland. I continued to write short fiction, had lots of other stories published and broadcast here and there, won some more awards. I signed with my agent, Zoe Waldie, a couple of years ago and my first two suspense novels, Siren and The Orphans, were published by Hutchinson (Penguin Random House) in 2016 and 2017. I’m currently working on my fourth novel, and on some new short stories. What made you choose to write about orphans? For me, fictional choices are rarely conscious – instinct and intuition seem to matter more. That said, this is a rare case where I can pinpoint the root of a piece of fiction. Years ago, a friend told me about someone she’d met who, along with a sibling, had apparently been abandoned on a tropical beach in childhood. The fate of their missing parents was never resolved, and the children took very different paths in adulthood. My friend didn’t have much more detail and I was never able to find anything on Google, but those two children wouldn’t let me go. I became deeply interested in what might have lain ahead for them. My first reaction was no, but actually I do have some indirect experience. When we were children, my parents used to invite two young sisters from a religious-run orphanage to stay with us at Christmas and Easter and for a week or so over the summer. We had no family connection with the girls, and I’m not entirely sure how it came about. I think my mother must just have contacted the orphanage – it was probably a much less formal matter back then. Their mother was still alive but unable to care for them, and I do remember feeling very embarrassed about how privileged we must have seemed. My mother is still in touch with the younger of the two girls, with whom she formed a close bond. The relationship with the older sister was less successful – I think she felt uncomfortable and out-of-place. She was older than us, and very silent. I do remember picking the girls up, about 30 miles away in the nearest big city, and feeling a complicated mix of guilt, dread and sadness. I wonder now how much say the girls had in the matter. Probably very little. My orphans are raised by their mother’s sister, so they haven’t had precisely the same experience as children brought up outside their own family. Moreover, the mystery surrounding the fate of their mother means that they are not conclusively orphaned. While I wasn’t aware of the phenomenon you mention, something of this has seeped into the novel. Ro tells his story to any woman who will listen, but Jess is much more circumspect about her past, largely for this reason. They are both very much aware of the various orphan stereotypes, and Ro in particular ‘tries on’ various role models for size. I am working on something set overseas, at the shadowy margins of the oil industry, with two strong female characters – a geologist who stumbles into a mire of intrigue and corruption and the interpreter with whom she is forced into an uncertain alliance. I’m still finishing the first draft, so I should probably leave it at that for now. As soon as I declare them missing, you can be sure that they’re there somewhere! I saw a very interesting piece of art recently — ‘Food for Thought’ by a young Saudi woman artist, Maha Mullah. I’d be interested to read a novel from that perspective. I loved all those orphan girls – from Heidi to Anne of Green Gables to Pippi Longstocking – for their free spirits. Thanks to Annemarie for the interview. This entry was posted in Blog, Orphan Lit and tagged abandonment, fiction, Loss, orphan, orphans, trauma. Bookmark the permalink.